When HEXUS took a look at what was reckoned to be the world's fastest RAM from Corsair, comments in the forums indicated that other manufacturers should be thrown into the tri-channel Core i7 ring, letting battle commence at 2,000MHz. 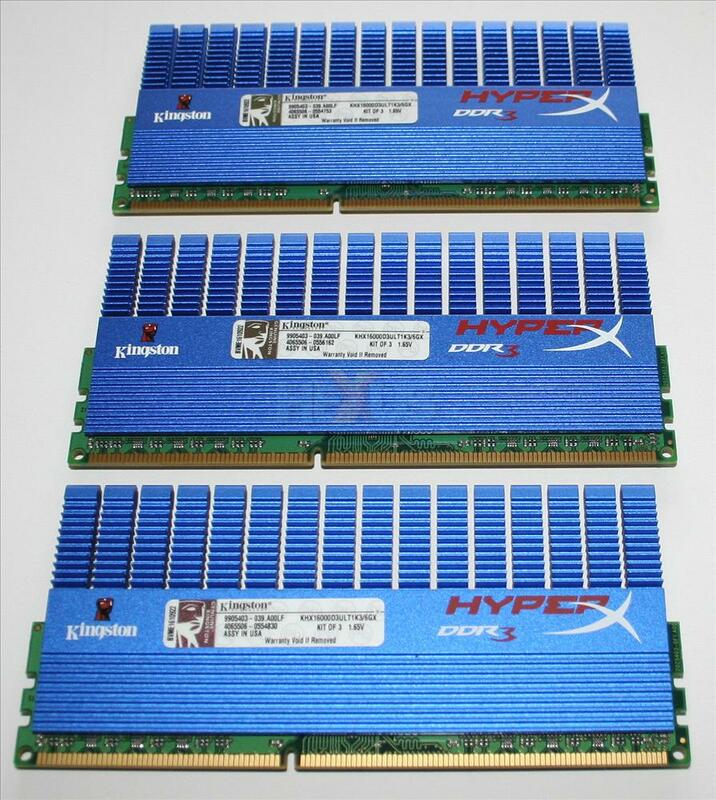 As it happens, we've got a 6GB pack of Kingston's HyperX KHX16000D3ULT1K3/6GX memory which should be available in the next couple of weeks with an estimated price-tag of around £350 ($449). That, then, will make it around £125 cheaper than the CL7 DOMINATOR GT-clad Corsair modules but still expensive for DDR3 memory. 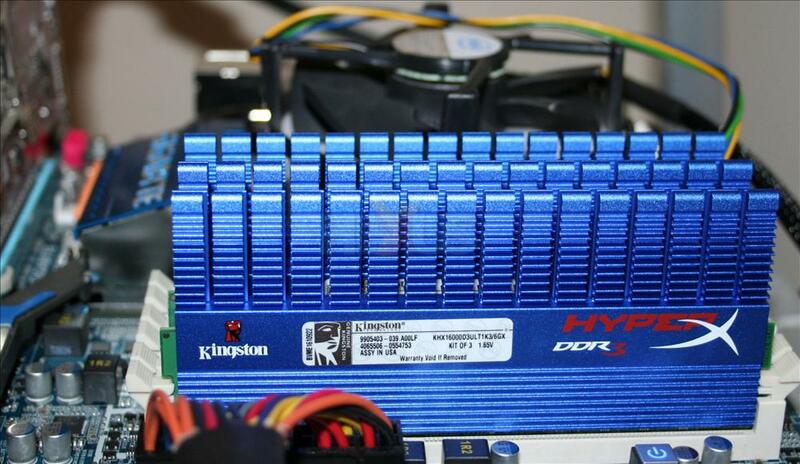 Our recent look at pricing shows that a 6GB DDR3-1,333 kit can be procured for around £85, so ultra-high-speed RAM needs to provide tangible performance benefits if it's to be worthy of consideration. Let's trot out the Kingston pack in this preview. 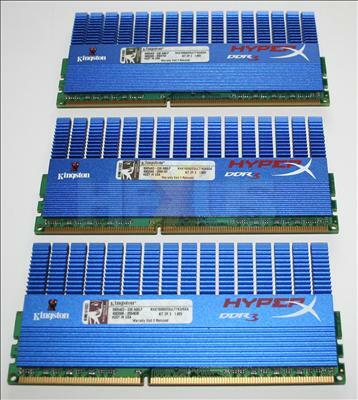 Adopting the tall heatspreaders found on the company's high-end T1-series DDR2/DDR3 modules, the HyperX look pretty funky. A close-up shot of the sticker infers a 2,000MHz operating frequency but makes no mention of the latencies. Digging a little deeper and these Ultra modules run with 8-8-8 timings, so not quite as aggressive as the Corsair CL7 kit, who also etails a CL8 kit for $479.99, including AIRFLOW fan. Being optimised for Core i7, the RAM runs at 1.65V, and the sticker clearly denotes that it's a pack of three modules, available in either 3GB or 6GB flavours. The aluminium heatspreaders aren't quite as chunky as the DOMINATOR GT's, although build quality is equally good. Bear in mind that only a few X58 boards will manage to hit 2,000MHz with utter stability, and we'd recommend either the Gigabyte EX58-UD5 or ASUS P6T Deluxe. Here's the trio of modules, just waiting to be put to task. Unlike Corsair, Kingston doesn't ship the pack with any extra cooling: simply slot in and set the BIOS up - that's the plan.